today i think i'm heading back to the sewer where i grew up... sadly, i am not a ninja turtle! going there always makes me very nervous :( i'm hoping to hit up the Sally's while i'm there... going to need a serious nail polish pick me up! today's polish is OPI A Roll In The Hague from the 2012 Holland collection... the name completely cracks me up! it's a bright orange cream... a really, really gorgeous bright orange cream! 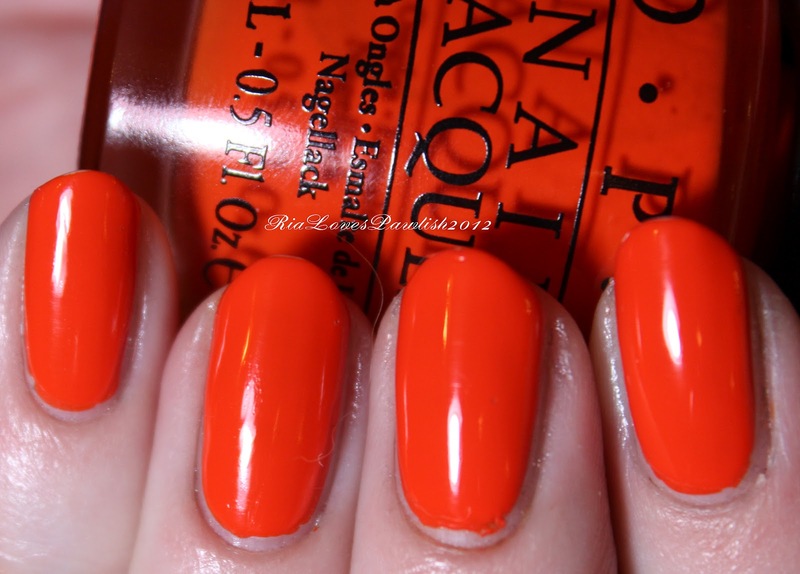 awesome formula, it applies very evenly and is completely opaque in two coats. the disappointing thing for me has nothing to do with the polish itself, it's just the fact that it reads really red on my skin tone (superSUPERsuper fair). i still love the polish on me, even though it leans so red. one coat Seche Base, two coats ARITH, one coat Seche Vite.